Unprecedented in its range - extending from Venice to the New World and from the Holy Roman Empire to the Ottoman Empire - this collection probes the place that the Ottoman Turks occupied in the Western imaginaire, and the ways in which this occupation expressed itself in the visual arts. Individual essays in this volume examine specific images or groups of images, problematizing the 'truths' they present and analyzing the contexts that shape the presentation of Ottoman or Islamic subject matter in European art. 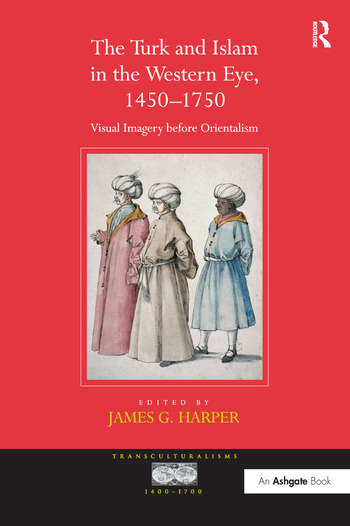 The contributors trace the transmission of early modern images and representations across national boundaries and across centuries to show how, through processes of translation that often involved multiple stages, the figure of the Turk (and by extension that of the Muslim) underwent a multiplicity of interpretations that reflect and reveal Western needs, anxieties and agendas. The essays reveal how anachronisms and inaccuracies mingled with careful detail to produce a "Turk," a figure which became a presence to reckon with in painting, sculpture, tapestry and printmaking. Contents: Introduction, James G. Harper; Part I Venice: The sultan's true face? Gentile Bellini, Mehmet II, and the values of verisimilitude, Elizabeth Rodini; Black Turks: Venetian artists and perceptions of Ottoman ethnicity, Paul H.D. Kaplan; 'And the moon has started to bleed'; apocalypticism and religious reform in Venetian art at the time of the Battle of Lepanto, Benjamin Paul; Punchinello meets the Turk: Giambattista Tiepolo's chorus of oriental spectators and the transformation of cultural otherness, Johanna Fassl. Part II Italy and Europe: Bipolar behavior: Ferdinando I de'Medici and the East, Christopher Pastore; DÃ¼rer's depictions of the Ottoman Turks: a case of 'early modern orientalism'?, Heather Madar; East is East: images of the Turkish nemesis in the Hapsburg world, Larry Silver; The barbarous and noble enemy: pictorial representations of the Battle of Lepanto, Christina Strunck. Part III Beyond Europe: Picturing the Ottoman threat in 16th-century New Spain, MarÃ­a Judith Feliciano; The Frank in the Ottoman eye of 1583, Baki Tezcan; Selected secondary bibliography; Index. James G. Harper (Ph.D., University of Pennsylvania) is Associate Professor of Renaissance and Baroque Art at the University of Oregon and a fellow of Villa I Tatti, the Harvard University Center for Italian Renaissance Studies.